We’re used to seeing stories about how aircraft manufacturers are using 3D printers to build parts of airplanes, and how they eventually hope to print entire subsections of the plane. But today there’s a interesting story out about the 3D printing will now print critical jet engine components that could not have been printed in one piece without the additive manufacturing technology. 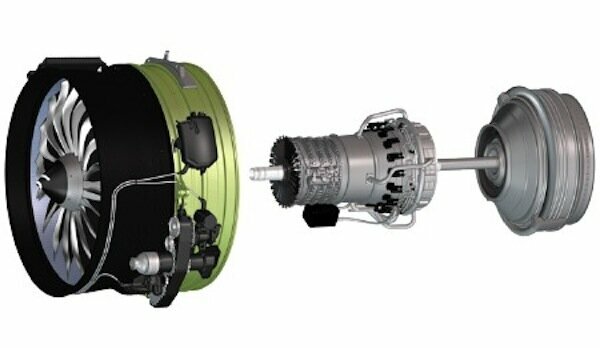 GE’s Global Research Center in Niskayuna, NY, in association with CFM International (a joint venture between GE and France’s Snecma), is working on a 3D printing process that will produce parts for CFM’s Leap family of turbofan engines. Doing this will reduce the weight by and amount of material used by 30%-40%. The engines will then be more efficient and save the aircraft operator a significant amount of money. The Leap engine is a high-bypass turbofan engine that weighs several hundred pounds less than engines that are in use today. That weight savings will reduce fuel consumption by 15%. Among the Leap engine’s new features is its incorporation of additive manufacturing processes to “print” engine components layer-by-layer, enabling creation of parts with more complicated geometries and structures that are more efficient and lighter-weight. GE isn’t specifying which Leap parts are being made with additive manufacturing — it makes the engine’s “hot” core section of the engine including compressor, combustor, and high-pressure turbine, while Snecma makes the front fan and low-pressure turbine. But a GE rep did tell ILS that, thanks to the one-piece manufacturing method, “we can avoid having to braze 15-20 piece parts together to form one component,” and it enables more design freedom to create unique, otherwise “unmanufacturable” components. Deliveries of Leap engines will begin in 2016 with orders totaling over $50 billion on the books already.